There mignt not be a point to that, because Amarna art was stylised. Her ethnic origins, are unknown. I quite agree, Art portraying the monarchy is normally embellished slightly but I am sure this only obscures a weight problem the ruler might of had however changing ethnicity would be quite irregular for what sovereign would want a statue that didn't resemble themselves? I thought about her some time ago, and so I have to say thank you for making this thread. This bust is (whatever the real Nefertiri was) Mediterranid. I would say more of the Eastern Mediterranid variant, but Mediterranid at all. A Mediterranean with blue eyes? I haven’t seen a Mediterranean with Blues eyes. The images of the Amarna Pharaohs are created to give them a look of vultures, with the head and the midface sticking out. It's symbolic. 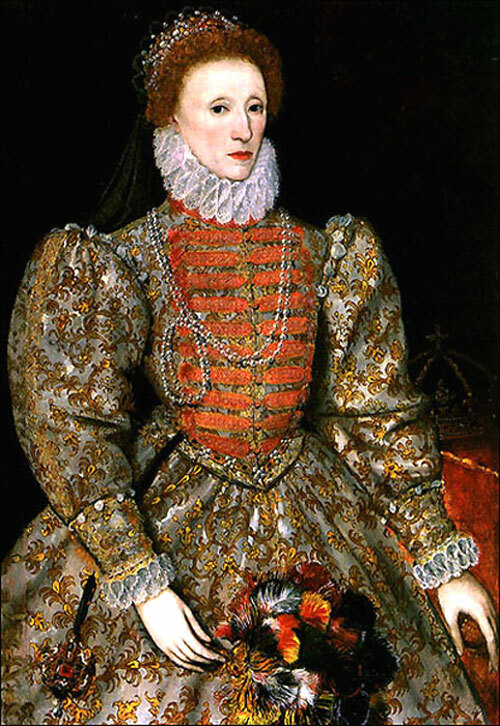 Like Queen Elizabeth and her high fringe to make her head look bigger, these fashions hardly alter the appearance of the monarchy! 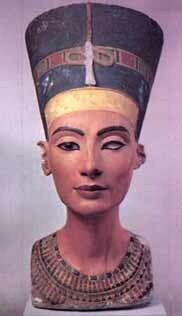 1) Nefertiti begun this artistic fashion thus a good reason to continue classification. 2) Even if Nefertiti didn't look like that the symbolism was ultimately symbolic of the Egyptians attempting to racially better themselves into a more Greek or Persian appearance there for showing the ideological genus for Egyptian culture thus an extremely good reason to continue classification. Well, Amarna art did alter their representations and it wasn't supposed to show their physical type accurately. Even if Nefertiti didn't look like that the symbolism was ultimately symbolic of the Egyptians attempting to racially better themselves into a more Greek or Persian appearance there for showing the ideological genus for Egyptian culture thus an extremely good reason to continue classification. Agrippa's right that the image looks Mediterranid, because this one isn't extremely distorted like some of the images. But the distortion in Amarna art isn't supposed to be racial, its supposed to look like a vulture. Do you seriously think that Mediterraneans don't have blue eyes? At all? Wow. Of course they do. And Nefertiti, judging only by those busts, is definitely Mediterranean. That said, art of the Amarna period, as atlanto-med has already pointed out, was extremely stylistical. These busts are not even that extreme; one should see the family scenes of Akhenaten and Nefertiti with their children on reliefs. Judging by those the whole royal family would qualify as aliens, no doubt.